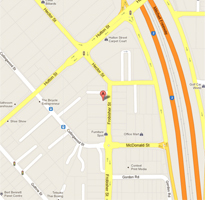 S&A Smash Repairs and Panel Beaters have operated in Osborne Park for over 30 years. We are equipped to deal with all manner of accident repair, with a reputation for being able to handle work that others find ‘too hard’. Having been owned by the same people for all of this period has ensured stability and reliabilty for our customers and suppliers. Well known by insurers and fleet managers, we are often the one they turn to when a solution is needed for a difficult problem. At S&A Smash Repairs, we guarantee all of our workmanship and products. We are proud to use PPG paint systems, and have the backing of PPG for all of our paintwork. We have a systematic approach to our work, designed to reduce repair times by aligning parts delivery and repair bookings to minimise waiting times for spare parts and accessories. We can often perform ‘emergency’ or temporary repairs to keep customers on the road whilst parts are being sourced. We are available 24 hours per day, 365 days per year for emergency assistance, and open Saturday mornings for bookings and estimates.